A modern logo tee with clean lines all day. A minimalist take on a short sleeve logo tee, the Union features a boxed logo print at the chest and a classic fit. Made from premium jersey, the custom t-shirt features a printed neck label for comfort. The nuts and bolts Mens t-shirt. 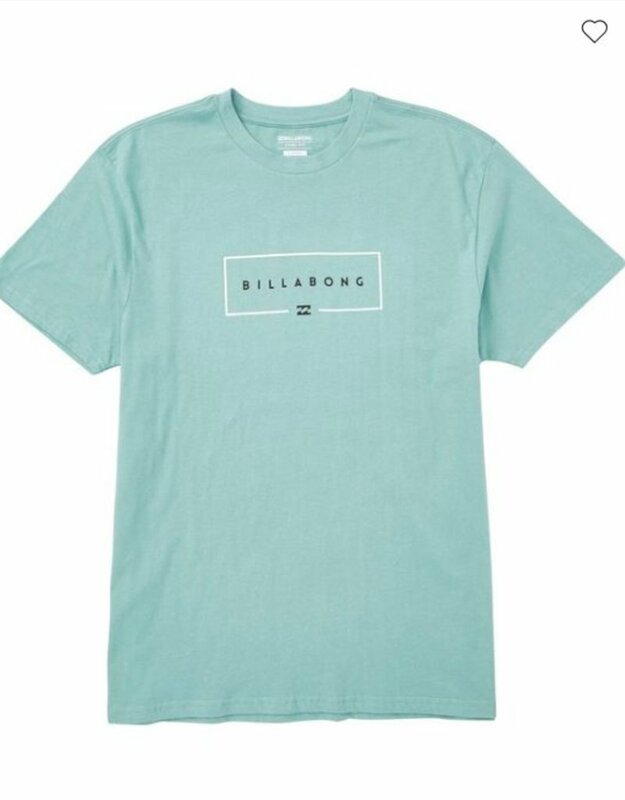 Billabong graphics at chest and back. Crew neck. Short sleeves. Side seam flag label. Printed neck label. Premium fit: relaxed in the shoulders, body, and sleeves, offering a classic, comfortable fit. Material: 26/1, 160g jersey.